With student enrollment closing in on 29,000, the UNC Charlotte campus can sometimes be tough to navigate. With that in mind, the University is rolling out several alternative transportation options and is undertaking some new initiatives. Here’s everything you need to know. Zipcar is a leading car-sharing network with operations in urban areas and college campuses across the world. At UNC Charlotte, Zipcar has four cars parked on campus for students, faculty and staff to use. The cars are self-service and on-demand. Sign up for memberships and reserve the dates and times. Two cars are located in Lot 25 (Near North Parking Deck) and Lot 8A (South Village). Gas, insurance, maintenance and 180 miles/day are included in every reservation. UNC Charlotte students, faculty and staff can join Zipcar for only $15. Reservations start at $7.50/hour and $69/day. 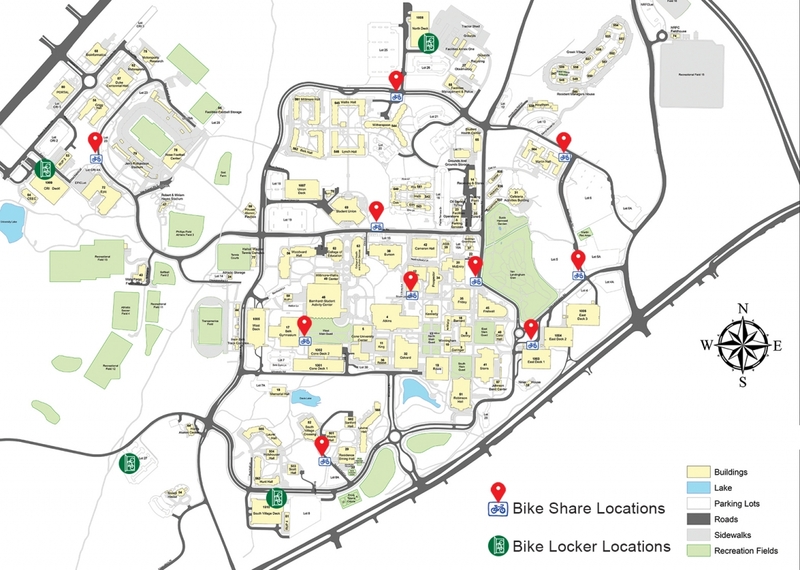 Charlotte Wheels is UNC Charlotte’s new bike sharing initiative. Beginning this fall, the campus will have 100 Gotcha bikes available at 10 bike racks located across the campus. A mobile app allows you to reserve and unlock a bike. Want to stop for coffee? Simply use the app put your bike in hold status. When students return in August, you won't see parking passes hanging from their rearview mirrors. That's because UNC Charlotte has become the first university in North Carolina to implement license plate recognition (LPR) technology to both issue and enforce parking privileges between fully integrated systems. Based on the permit purchased, permissions will be associated with an individual's license plate and 49er ID card. Equipment installed at decks and lots will scan the plate as a vehicle enters and exits. If there is a gate, it will be signaled to lift. In lots without gates, the system recognizes vehicles with virtual permits; enforcement is alerted when cars are parked without permission. This new technology has the needed flexibility for a growing University population, customer-focused features such as a mobile app integration that can provide real-time space availability and the ability for customers to manage their parking accounts online. Installation of the new equipment began in June and will be completed by the time classes resume in August. Read more information about virtual parking here.